At Sterling Ridge Orthopaedics & Sports Medicine we offer x-ray services at both offices, and Spring MRI is conveniently located at our 20639 Kuykendahl location in Spring, TX. Your physician will choose the most appropriate type of imaging for diagnosing orthopedic conditions and assessing the results of procedures. 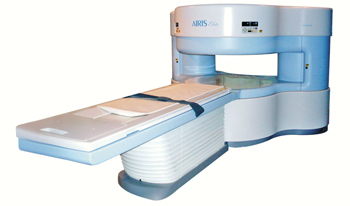 Magnetic resonance imaging (MRI) is a technique used to see a detailed view of internal body structures such as bones, ligaments and nerves. This is important for our orthopedic specialists to be able to see the details about what is happening inside of a joint or other area of your body. You may be given a contrast dye that will make it easier to see the difference between tissue and blood vessels, tumors or inflammation.